Although we serve dinner at La Villa, Wednesday-Sunday evening – we appreciate that guests like to try local eateries too. With 10 restaurants within a short walk of La Villa and a further 12 within a short drive, there is something to suit all tastes right on our doorstep. From crepes to Moroccan, traditional French brasserie favourites to Portuguese, vegetarian to wood-fired pizza – be it lunch or dinner….you wont go hungry! Enjoy fine dining at Mets et Plaiser just a 2 min walk, to getting on your bike along the fantastic cycle path for a tasty lunch at Le Voie Gourmande. 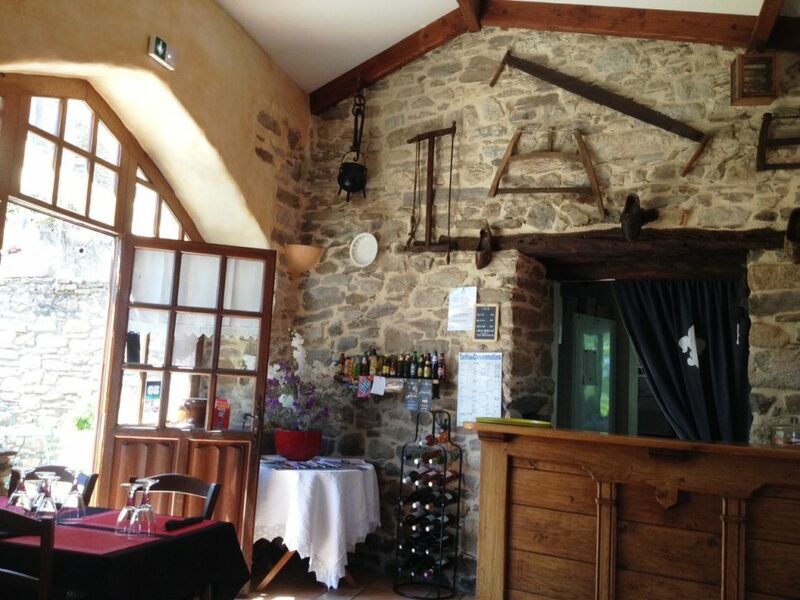 If a stunning view is what your after – the Taverne d’Hautpoul (pictured above) has commanding views over the Montagne Noire back towards Mazamet. And the Chalet du Lac, along the shores of the Lac des Montagnes, is perfect for a lunchtime treat (you can even take a free bus up and walk off the calories on your return). Each of the restaurants on our list is owned by local people; and the vast majority are open year round and are where the locals eat too. We are happy to make reservations for you ahead of your arrival and during your time with us. And if you are out & about on a day trip, or on route to/from La Villa, we know some great hidden gems from Michelin Star to rustic Les Routiers. A number of local eateries offer guests staying at La Villa a complimentary aperitif too – so explore our 2018 Restaurant List to start whetting your appetite for your stay in Mazamet.